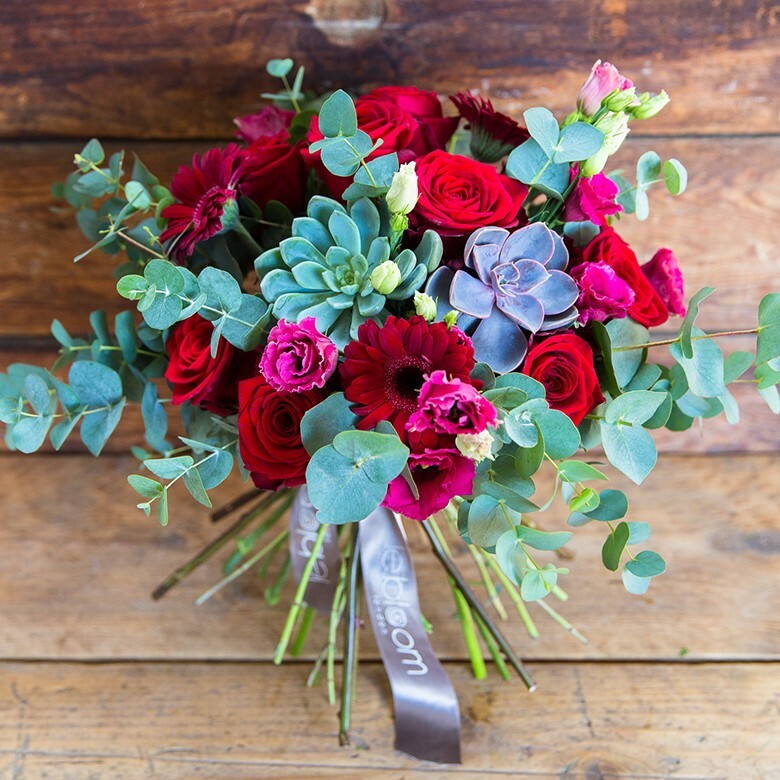 Combination of Red Naomi roses with lisianthus, eucalyptus makes this an interesting hand tied bouquet. 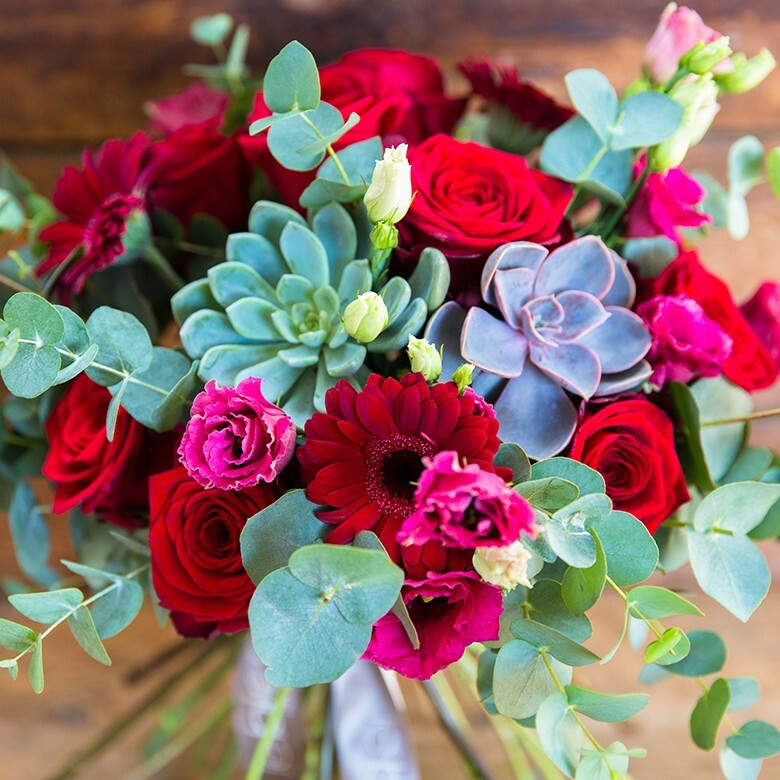 Picture showcases our Classic Bouquet. 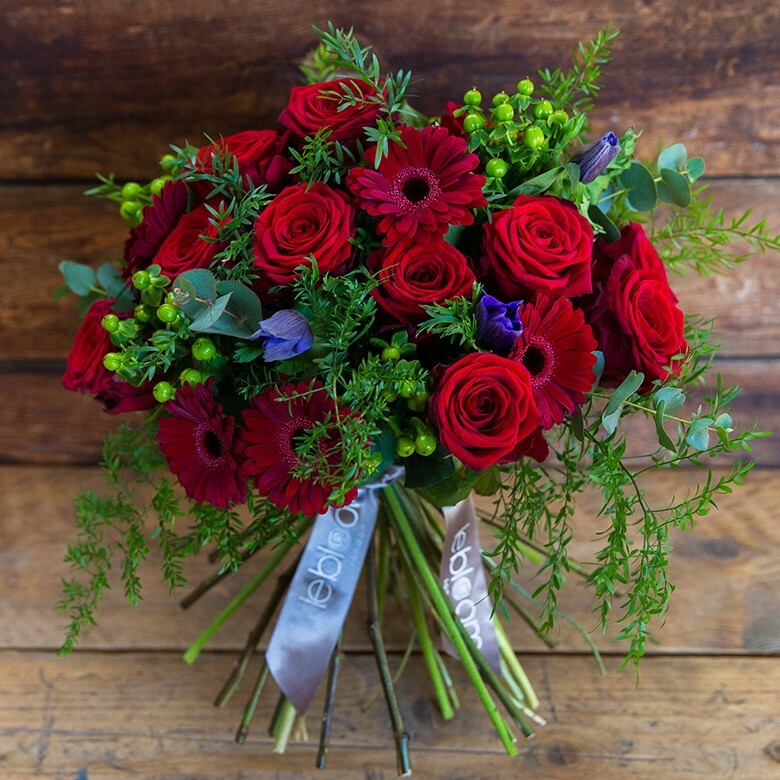 Combination of Red Naomi roses with lisianthus, eucalyptus makes this an interesting hand tied bouquet. 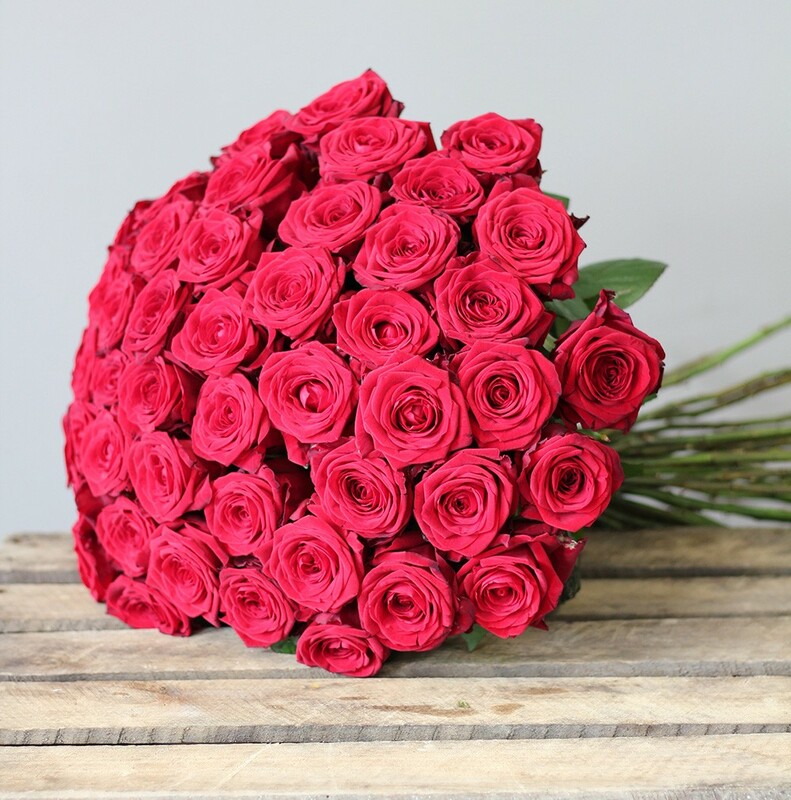 Picture showcases our Luxury Bouquet.